Actually there are certain factors which the insurance companies consider, to decide on the premium, which you may not know. You might think why you have to pay more premium on a particular insurance policy while others with similar coverage are paying less. Actually there are certain factors which the insurance companies consider, to decide on the premium, which you may not know. Here are 6 ways you might be increasing your insurance rate unknowingly. 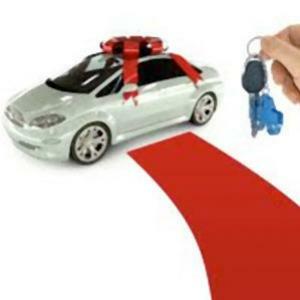 The knowledge might help you lower your insurance premium to some extent. Insurance claims which you have made – There are chances that when your insurance policy (usually homeowners insurance, auto insurance and renters insurance) is up for renewal, your premium can get increased if you have made a claim. In this case, switching insurance company usually doesn’t help since other insurance companies will also take into account this factor while deciding on the premium rate. Therefore, next time you make a claim, think twice and pay the amount from your pocket if it’s a nominal one. You can also increase the deductible in order to lower the insurance premium. It will also reduce your temptation to file a claim for relatively smaller amount. You are a smoker – As per the Affordable Care Act, the insurance companies cannot deny coverage to a person with pre-existing medical conditions. However, the health insurers can add up to 50% surcharge to insurance premium for a person who’s a smoker; though it is not allowed in some states. Moreover, life insurers and homeowners insurers also charge comparatively higher premiums for smokers. This is because, smoking is bad for health and there are some cases of house fires due to smoldering cigarettes. In addition to this, insurance companies consider it as insurance fraud if you do not disclose your smoking habit and they come know about it later. You are involved in adventurous activities – Your occupation and lifestyle may be a factor behind your relatively more insurance premium. The life insurers will ask you to pay more premium if they think you are interested in higher risk activities. You may also have to pay more travel insurance premium if you want to get yourself engaged in adventurous activities on your tour. Activities such as, deep-sea scuba diving, extreme skiing, etc. are considered to be high risk activities. Buying policies from separate insurers – You may not know that the insurance companies usually offer discount if you purchase multiple insurance policies from one insurer. However, you should verify the financial strength rating of the company before you buy multiple policies, such as, car insurance, homeowners insurance, life insurance, health insurance, etc. from one insurer. You have a relatively low credit score – Do you know that some insurance companies assess your credit score in order to decide your insurance premium? Yes, you have read it right. Some insurers think that your credit score displays how responsible you are. They especially consider this factor while deciding the insurance premium for property or life insurance. So, if your credit score is relatively lower, then there are chances that you will have to pay more on insurance premium. You have a pet dog – Researches show that the casualty and property insurers had to pay millions of dollars on dog-related insurance claims. This coverage usually falls under the liability section of your renters insurance or homeowners insurance policy. Therefore, the insurance companies want to know whether or not you have a pet dog in order to decide your homeowners insurance or your renters insurance premium. Moreover, the insurers can also add a surcharge if your dog is considered to be a dangerous dog breed. Therefore, be prepared to pay increased premium if you have a pet dog. While buying an insurance policy, it is advisable that you reveal everything to your insurer and purchase adequate coverage. In addition, always read your policy terms and conditions so that you are well aware what items are included in the coverage and what not. This will help you have required knowledge about your insurance policy and will also help while filing a claim. Also, always shop for policies and compare the coverage in order to buy the most suitable insurance policy.